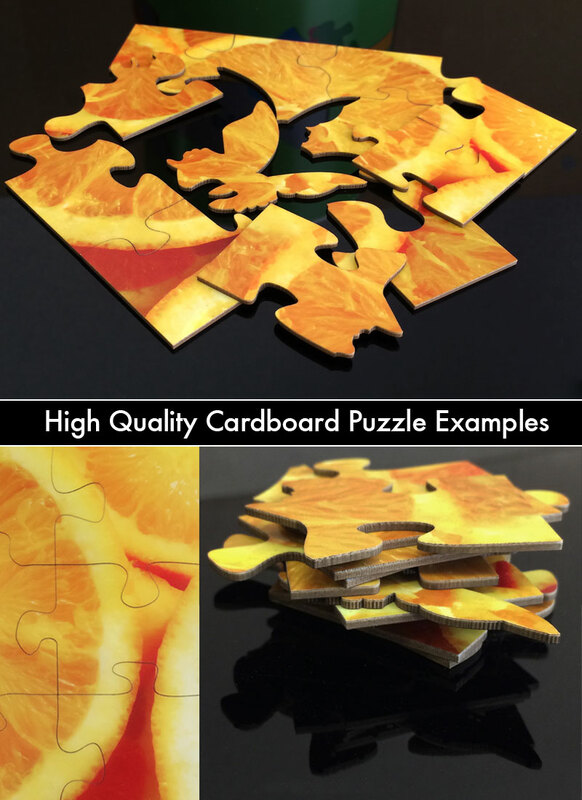 Heart shaped custom jigsaw puzzles made from our high quality materials make a fantastic surprise for your loved ones! Finished puzzle size is 11.75"x15.75", 1/16" thick with 3/4" pieces. 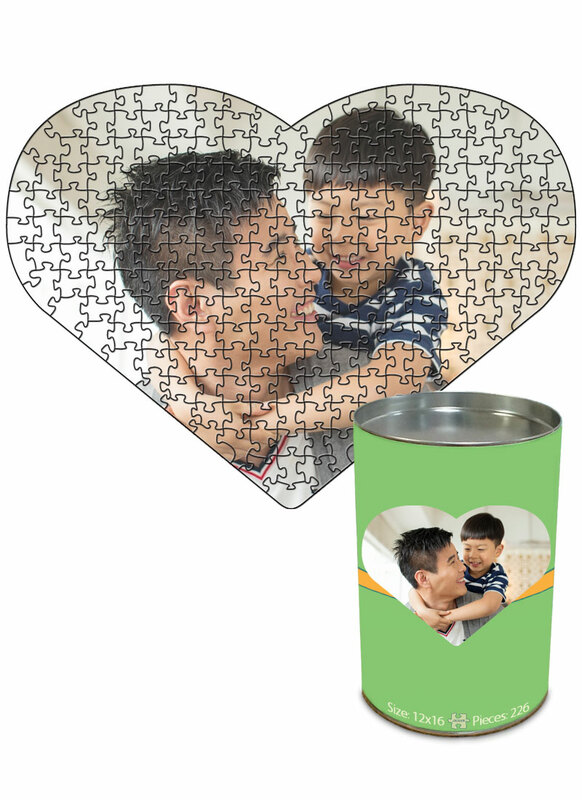 It is packaged in our puzzle can packaging that has a full color wrap around label with image and puzzle details printed on it. Puzzle has a luster photo finish and is printed with inks that are fade resistant for up to 200 years. 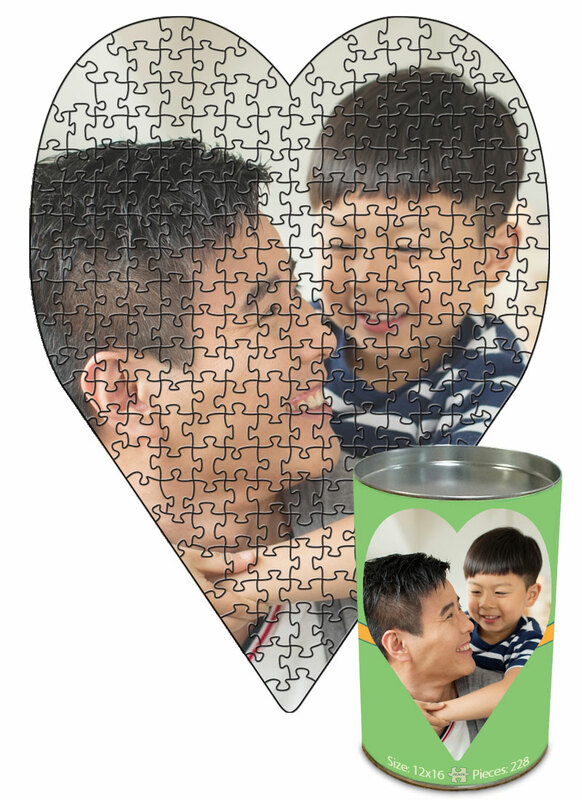 This puzzle makes a great wedding gift or paper anniversary surprise.